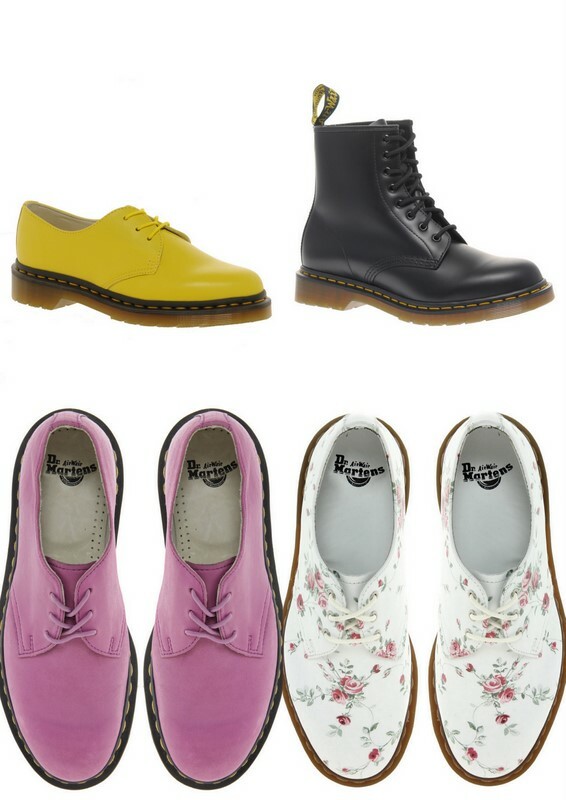 A dream called fashion : Dr. Martens shoes never go out of style! La mia ossessione recente si chiama Dr. Martens, brand britannico di calzature, le cui cuciture gialle e la suola con cuscinetto d'aria, ne fanno i suoi tratti distintivi. La mia attenzione, tra i tanti modelli proposti dal marchio, va in particolar modo su una delle sue icone, gli anfibi 1460 con 8 fori; anche se di fianco a quest'ultimo "più tradizionale" altrettanto invitanti sono quelli in viola ribes, giallo e con stampa fiorata. Voi quale scegliereste tra questi? My latest obsession is called Dr. Martens, British brand of footwear, whose yellow stitching and sole with air cushion, make its distinctive traits. My attention, among the many models proposed by the brand, is especially one of its icons, amphibians 1460 with 8 holes, although alongside this "traditional" just as inviting are those in currant purple, yellow and flowered print. Which model you choose among them? Dr. Martens are my obsession too! Love the black ones!!! !I WANT THEM RIGHT NOW!!!!!! Great new designs - the two shoes on the bottom look great! wow! these shoes are really cute :)) adorable!! I like the purple and the flower print. I love the floral shoes! They are so cute! oh yes, it's a very good idea. i follow you, and you follow me:) let's goo! love them i need a suede pair! oh my! I saw those while I was shopping in HK!!! I should have bought!!! che meraviglia!! sono belle davvero! Mi piacciono tantissimo quelle fiorate, ma non me le vedo bene addosso.. 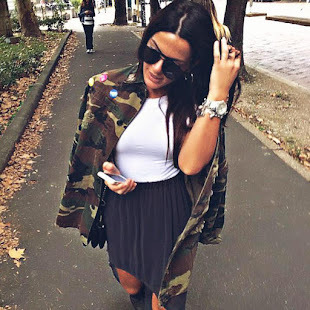 When i haved 16 years...i was Grunge and i used Doctor Martens boots...love the style my dear. Quelle scarpe rosse e le con fiori sono bellissime! This is an amazing post! I really love Dc.Martens boots! THIS IS MY PASSION! For me, Dr. Martens are either a hit or miss. I got a pair of Applique Dr. Martens (little edition) and I'm obsessed with them. I hate how it takes a month for them to break in! Güzel bir blog takipteyim artık.